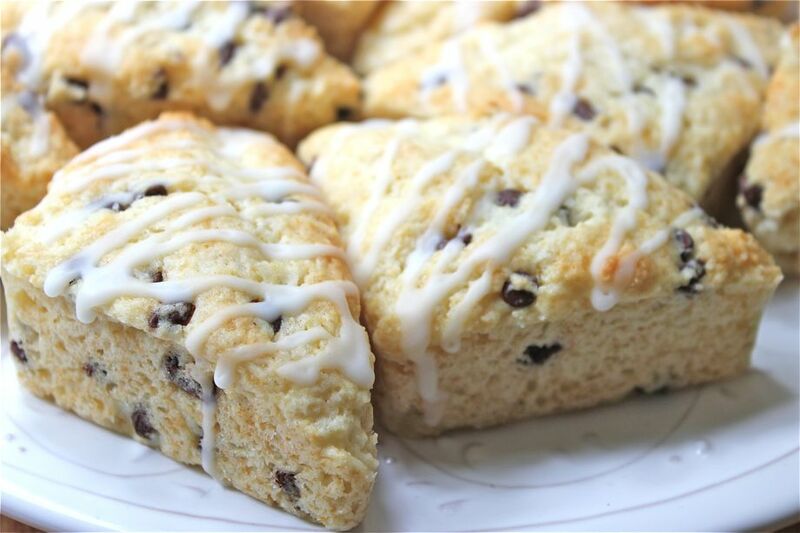 Scones can sometimes be dry, hard and crumbly, but these scones are incredibly light, moist and delicious! It’s a good, basic recipe by Alton Brown that I found here. You can pretty much add whatever you like to it, such as dried fruits, nuts or, as I did, two handfuls of mini chocolate chips. I added the thin vanilla glaze* after they had cooled. 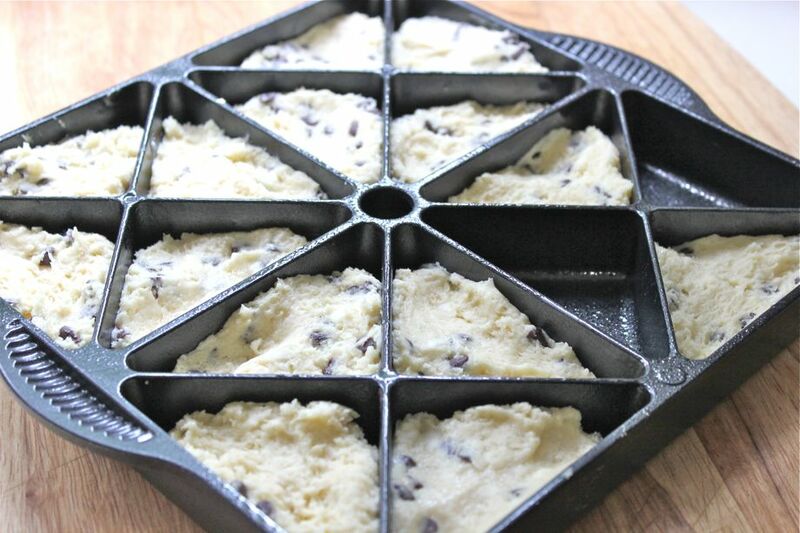 the Nordic Mini-Scone Pan. After a quick spray with Pam, I pressed the dough into each little triangle (there was enough dough for 14 scones). 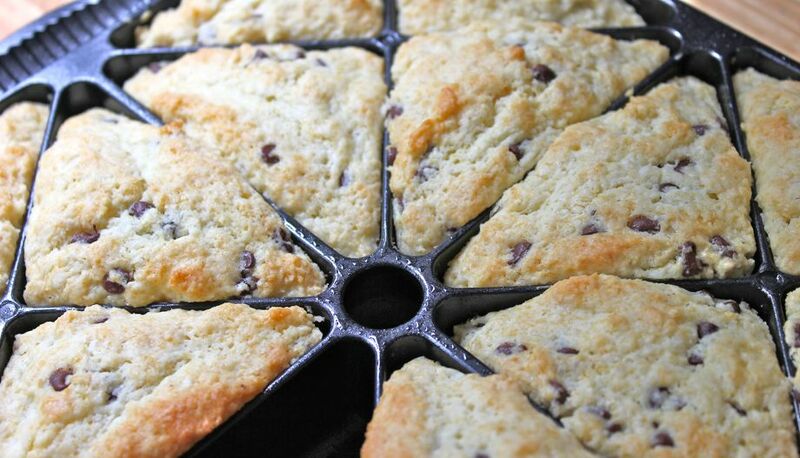 mmm….lightly golden, tasty scones. You can enjoy them just like this, or add a thin drizzle of vanilla glaze. They’re pretty easy to make, and they’re just the right size to go along with that afternoon pick-me-up cup of coffee or tea! *I cut this recipe in half. Really? Fifteen minutes? Does that mean I can be a half hour from trouble any time???? With some quick mixing and a hot oven, you can probably be in trouble in 25 minutes. I want to eat all of these immediately. Then you’ll have to make some, as mine are all gone. I will make them for our next brunch! !